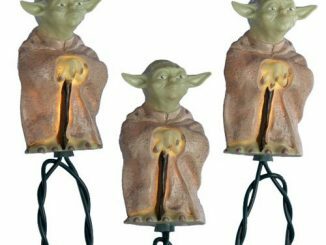 If you want a Jedi Master to protect you after you turn the lights off at night, the Glow in the Dark Yoda Fathead Wall Graphic is the bodyguard you’re looking for…looks like the pointy-eared little guy is actually able to use the Force to create his own light. 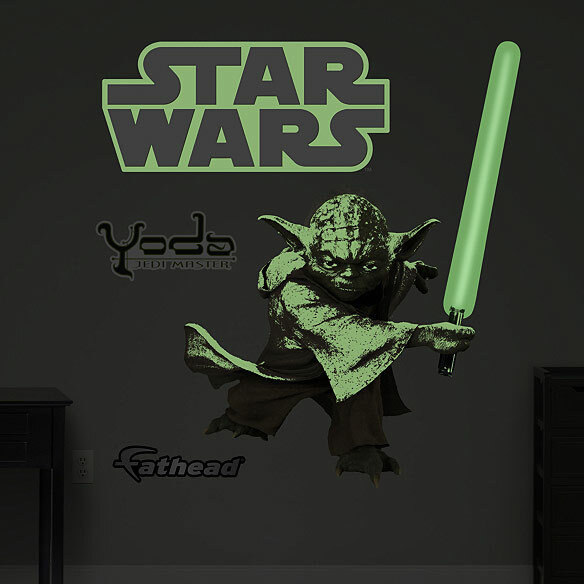 When the lights are on, this Fathead Wall Graphic features Yoda standing with his lightsaber at the ready, looking as menacing as a little, wrinkly, green guy possibly can, but things get interesting when you plunge the room into darkness because the little Jedi, along with his lightsaber and the Star Wars logo, create a wicked glow that will allow you to see that Yoda is always watching over you. 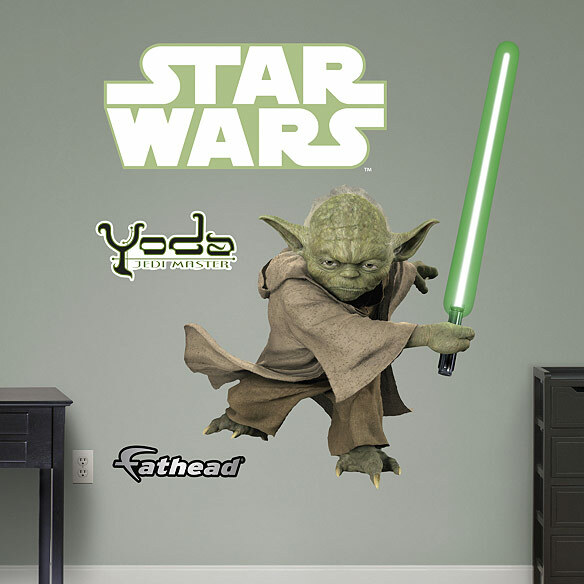 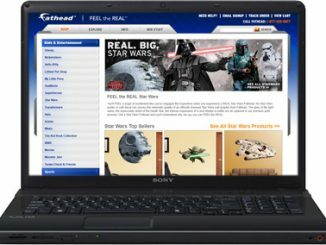 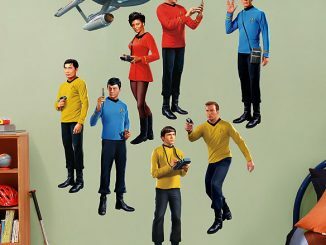 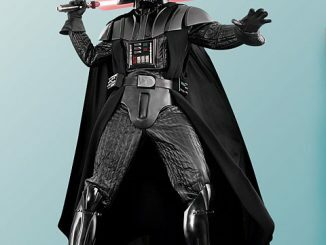 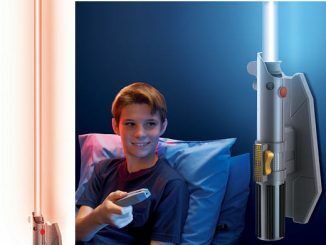 When it comes to defending you against the dark (side), only a Jedi that shines with his own inner light can offer the protection you need, and you can get the Glow in the Dark Yoda Fathead Wall Graphic for $129.99 at Fathead.com and for $124.99 at Amazon.com. 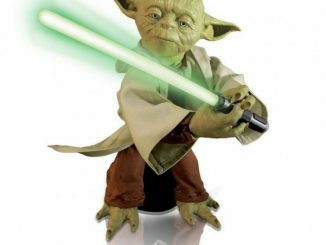 If you have dressed up your clubs with Yoda Golf Club Covers the next step would be to replace those boring golf clubs with a Yoda F/X Lightsaber ($203).